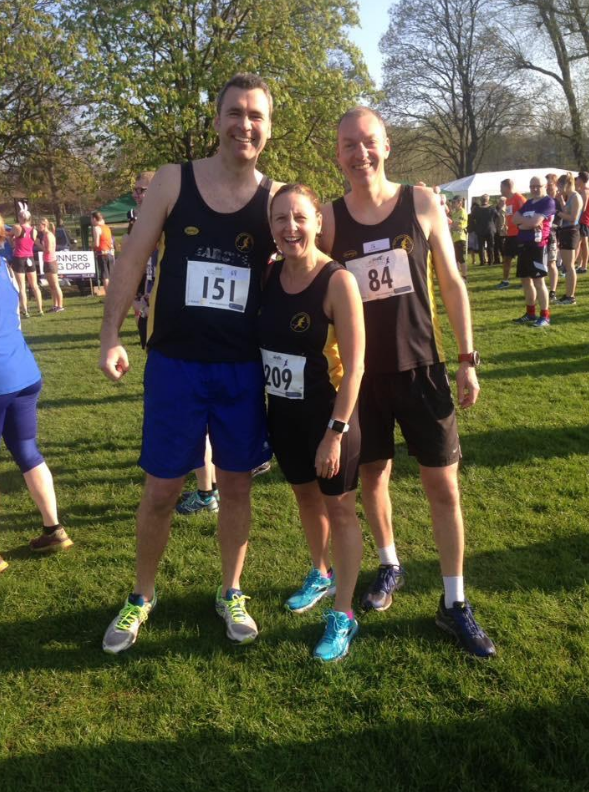 Peel Road Runners kicked off the 2017 Burton and District Summer League (BDSL) race calendar at the weekend with the Run in the Forest 5 miler. The Run in the Forest is a mix of road / multi terrain running around the scenic trails of Conkers and the Donisthorpe Woodland. 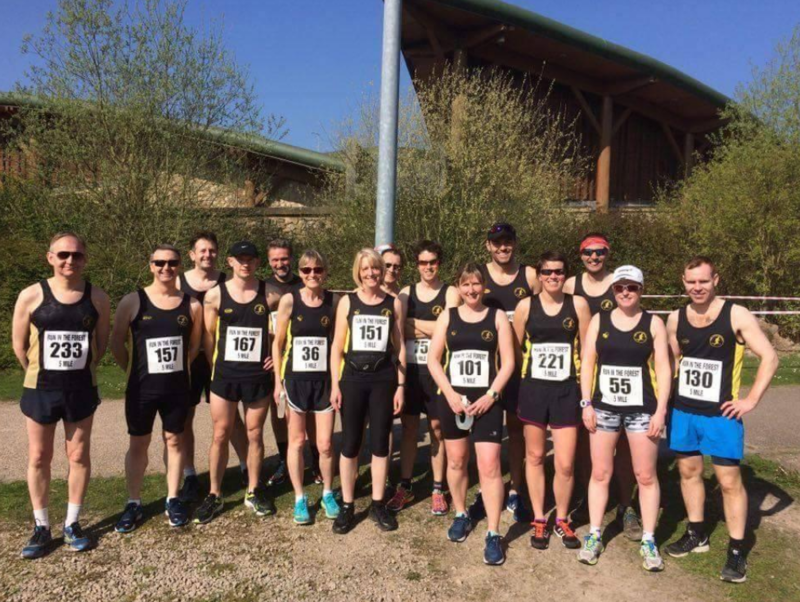 The glorious weather gave for perfect running conditions at the weekend and as many as 15 race ready Peelers took to the starting line. First Peel Road Runner to cross the finish line was Martin Hollamby who came home in 3rd place overall with a very quick 29:35mins. 2nd Peeler home following Martin in was Robbie Baden in an excellent 30:38mins. Not too far behind was Ashley Baldwin with 30:54mins. Club Chairman Lee Rickards was the next member to cross the finish line in 32:45mins. Michael Shelton was home in 33:13mins, David Fern with 38:24mins, Rachel Rickards made her racing return with 38:31mins, Zoe Schnepp (running without baby Sally) was next in 40:26mins, Tim Mudd in 41:41mins, Darren Truman with 42:36mins, Carolyne Browne in 43:09mins, Rob Hirst in 43:46mins, Owen Slater 44:32mins, Helen Manton 45:36mins and Club Secretary Val Lawson in 45:46mins. On Kingsbury Water Parkrun duties last week, the first Peel Road Runner to cross the line again was Ashley Perks in a quick 21:35mins. Next Peeler across the finish line and very much in tapering mode ahead of London was Sandra Ingram with 25:40mins, Darren Truman must have been holding on to Sandra’s hand as he too crossed the finish line in a matching time of 25:40mins. George Hope followed Sandra & Darren home with 26:31mins. Owen Slater finished with 31:38mins. Saturday morning was also a day to remember for 6 ‘newbie’ runners who successfully completed their ‘Couch to 5k’ training programme with the Peel Road Runners by running the Kingsbury Water Parkrun. The happy graduates were Jayne Coles 31:39mins, Kelly Sippitts 31:45mins, Claire Farmer 32:31mins, Michelle C Fisher 33:37mins, Alison Dolphin 35:33mins and Susan Cartmell 35:41mins. Well done to all finishers!! 5K to 10k next up? ?